Many of you already understand the benefits of all-in-one desktop machines. If you’re new to the idea, they mean a lot less clutter compared to a regular desktop. Integrating the display and speakers means less cables. With Wi-Fi and a wireless keyboard and mouse, all you need to plug in is a power cord. Today, we’re introducing three new all-in-one options for home users that scale to meet a wide range of needs from basic computing to high-end entertainment. Our teams started with the clutter-free simplicity I mentioned above and worked to design sleek and functional systems that will be at home in any room in the house where you need desktop power. The XPS One 27 is an Ivy Bridge system from the ground up. The Inspiron One 23 supports both Ivy Bridge and Sandy Bridge options and the Inspiron One 20 is based on Sandy Bridge technology. All three of these all-in-one models are available today in select countries in Asia. They will be available in the United States and additional countries in the coming weeks. All three models of these new desktops feature integrated Gigabit Ethernet ports, integrated HD webcams and Skype software preinstalled. For digital photographers out there, all models include an 8-in-1 media card readers. If you order any of these systems with optional Wi-Fi, you’ll also get Bluetooth 4.0 capability. Click on any of the images in this post to see a larger version. You can see more images of all these products in the photo section Dell’s Google+ page. Now let’s dive a little deeper into the specifics. Starting at $1,399, the XPS One 27 occupies the high end of our lineup all-in-one lineup. It represents the largest all-in-one desktop we’ve ever offered. Like you’d expect from an XPS, it’s built to offer the best technology available for optimal performance. From a processor standpoint, that means quad core i5 and i7 third generation Ivy Bridge processor options. Graphics-wise, the entry-level config features the Intel HD 4000 integrated graphics that Intel introduced with the Ivy Bridge chipset. Those who want even more graphics horsepower can outfit the XPS One 27 with NVIDIA’sGeForce GT 640M graphics card with 2GB RAM. The first thing I noticed when looking at the XPS One 27, is the gorgeous display. The vibrant 27-inch display supports Wide Quad HD resolution (2560×1440) makes it great for just about any kind of activity. Whether you’re editing HD video or high-resolution photographs, or viewing web pages alongside Word documents, the clarity on this display makes a noticeable difference. Beyond the clarity, you’ll fit more windows on screen and be able to utilize Windows 7’s Snap feature on a regular basis. Update from Lionel: Regarding the resolution of the XPS One 27 display, I changed the wording to "Wide Quad HD Resolution." The hyperlink was correct, but I removed the word "Full" to avoid confusion with Quad Full High Definition resolution. As sharp as it is, I didn’t mean to imply that it was a 4K display. If entertainment is what you’re interested in, choose the optional slot-load Blu-ray drive to enjoy your favorite Blu-ray movies in 1080p. Beyond that, you can also outfit your XPS One 27 with an optional TV tuner card so you can enjoy over-the air HD broadcasts right on the system as well. The XPS One 27 has both one HDMI Out and an HDMI in. This means besides connecting the XPS One 27 to a separate external display or TV, you can also hook up other devices like a Blu-ray player or an XPS 360 to put the system awesome screen resolution to good use. You could also use the XPS One 27’s awesome display as an external monitor for a laptop using the HDMI input as well. In terms of audio, the integrated 7.1 audio with Infinity-branded speakers plus Waves MaxxAudio 4 provides pretty impressive sound. It works well in an XPS 13 Ultrabook, and it works even better in a bigger system like this. If you want lighting-fast operation on the disk drive front, we support an optional mSATA 32 SSD configuration with Intel Smart Response technology like we introduced recently on Dell’s XPS 8500 desktop. In that configuration, the SSD works in conjunction with the system’s traditional 7200rpm hard drive. Beyond that, as you should expect with an Ivy Bridge system, the XPS One 27 makes full use of USB 3.0 in the form of four six USB 3.0 ports. Also of note, the two USB 2.0 side USB ports support Power Charge—a very handy way to charge your USB devices like smartphones or tablets. It will charge your USB devices even if the XPS One 27 is powered off. Update from Lionel: To clarify, the XPS One 27 features six USB 3.0 ports. I’ve made corrections in the paragraph above. My apologies for not getting that right the first time. See more XPS One 27 images here on Dell’s Google+ page. Like the XPS One 27, the new Inspiron models start with the single cord setup. Starting at just $749, the Inspiron One 23 offers some of the same high-end options starting with the Core i7 Ivy Bridge processor option and optional Blu-ray drive. It also supports Intel’s HD 4000 integrated graphics and an optional discrete graphics upgrade to AMD’s Radeon HD 7650A graphics card with 1GB DDR3 RAM. The 23-inch display supports a full HD resolution of 1920×1080 so you can watch Blu-ray movies in their native resolution. It also has four USB 3.0 ports and two USB 2.0 ports that support Power Charge. Starting at $529, the Inspiron One 20 is an all-in-one desktop delivers everyday connectivity and computing power utilizing Intel’s second-generation i3 and i5 processor options and Intel’s integrated HD 2000 graphics. It still offers multimedia options like an optional tray loading Blu-ray drive and a share 1600×900 HD display. And like it’s bigger brother, the XPS One 23, it comes HD audio works with Waves MaxxAudio 3 technology. See more Inspiron One 23 and Inspiron One 20 images on Dell’s Google+ page. Take a look at this morning’s press release to see a full list of options that each of these all-in-ones support. Welcome your thoughts and questions below. I’ll be sure to let folks know when these are available to customers in the United States and other countries. The graphics cards leave a little bit to be desired. A nvidia 640gt is not that great, I would have least would have liked to see a 650gt, so it is a little dissapointing that the graphics are a little lackluster for a high-end AIO XPS. @DIV Corp… understand. Is gaming part of what you are going to be using a system for? 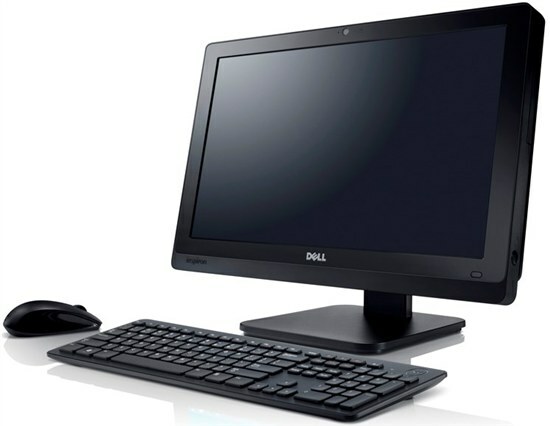 If so, don't forget about the XPS 8500 Ivy Bridge desktop we recently introduced. Definitely have some decent graphics card options on it. 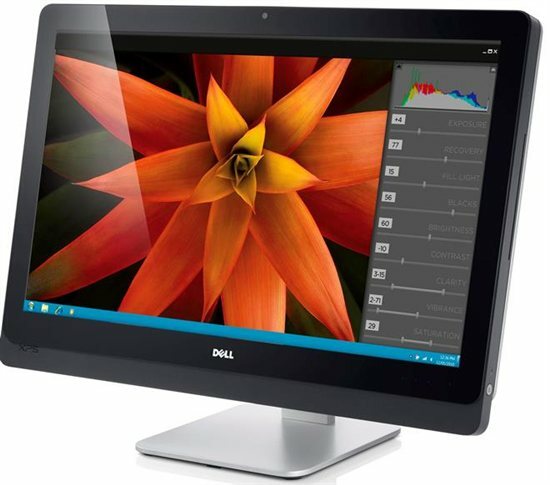 when the Dell XPS One 27 arrives to UK online shop? thx! Are all the necessary drivers for the XPS One 27 available to the Linux community? I want to dual boot with Ubuntu or Mint, but they are useless without drivers. @jorghegrande Haven't forgotten about you… will weigh in again when I have more definitive details on when it will be available at Dell.co.uk. @jhohertz: Short answer is I don't know. Let me check with some folks to see if there are driver gaps.